Research shows that students need to gain a strong foundation of literacy skills, along with oral communication skills, diction and phonemic skills. Our school offers a structured, focused literacy program. Some classes will have 2 or 3 teachers/ support staff working with specific groups at any one time. Similar support is provided in numeracy. Develop each child at a physical, social, emotional and cognitive level. Enhance the confidence and self-esteem of all students, inclusive of all ability levels. Support effective and active engagement and participation in the curriculum. Maximize the learning potential of all students. 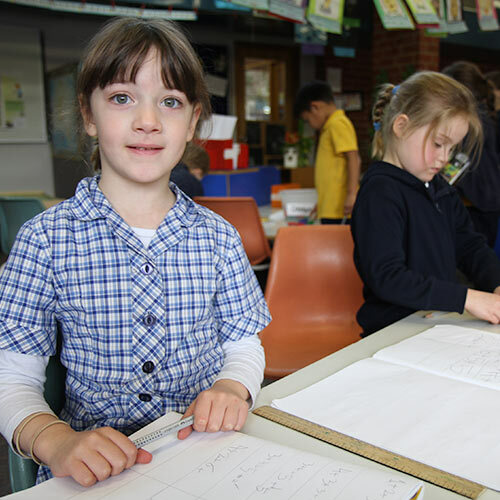 The identification of students with additional learning needs through observation and communication with parents, teachers and DECD professionals eg guidance officers and or speech pathologists. Collaboration between parents, class teachers, para-professionals to ensure the setting of consistent objectives and plan for meeting student needs and implementing any recommendations which arise from testing. The monitoring of Special Needs students and open reporting to parents of development and achievement. The development of realistic and appropriate 'Negotiated Education Plans' written in conjunction with parents and class teachers designed specifically to cater for individual learning needs. (Reviewed annually / but written up formally at points of schooling transition). The provision of appropriate support (in-class or withdrawal groups) either individual or through small group work with SSOs (school support officers or Special Education or ESL teachers). For example Reading Recovery and Multi-Lit. Referral of students to appropriate external agencies, such as Occupational Therapy, CAMHS, Autism SA etc.